The Garage Door Centre aims to make the process of buying garage doors in Nottinghamshire as easy as it possibly can be. We’ve been in the trade since 1986, and our experienced team supply our extensive selection products to homeowners, local authorities, builders, developers and home improvement companies. Our current range of products includes up and over doors, overlap sectional, side hinged, sectional, round the corner and roller shutter, while we also offer front entrance doors and automated gate systems. We can provide quotations on all of our products. Our online survey form is designed to ensure we’re issued with the correct information in terms of sizing, while we always urge customers to provide us with photographs, whether they’re visiting our showroom or submitting an enquiry online. We supply doors from leading brands, making sure we exceed your expectations in all aspects of the service we provide. 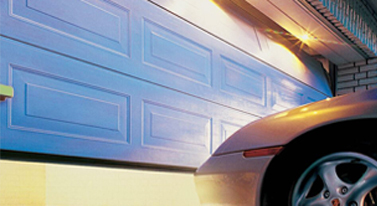 Your garage door will come fully guaranteed for your complete peace of mind. We can deliver garage doors anywhere in the Nottinghamshire area, ensuring you receive your doors quickly and efficiently. Our service is professional in all regards. Call us on 0800 525 442 to begin the discussion, or ask us for a quote online. We will discuss your options with you, and can arrange installation as well if required. Our Midlands showroom is ideal for those seeking garage doors in Nottinghamshire. Here you’re able to find out more about our diverse range of products, while our displays include functioning full size manual and remote control electric models. In addition to our many purpose made doors, we also stock a large number of spares and accessories. Our experienced team is always happy to offer suggestions and guidance on any particular product, but if you’re not entirely decided on the type of model you require, you can browse our doors by choosing one of the leading manufacturers including CarTeck, Cedar, Cotswold, Domina, Garador, Gliderol, Hormann, Marantec, Silvelox, SWS, Wessex and Woodrite. Few companies can rival our experience, and we truly believe none can get close to offering the same customer experience we do. With so many garage door designs from leading manufacturers like Hörmann, Carteck, Gliderol and Silvelox, we have something for everyone. 1. Begin by looking through our gallery. This is a good place to browse all garage door designs and begin to decide on the aesthetics you like the most. 2. Decide on your material. 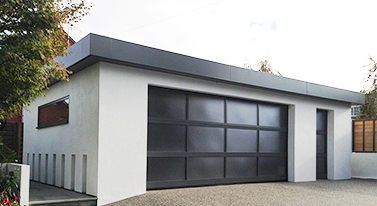 We supply garage doors in steel, aluminium, GRP fibreglass and various types of timber. See the benefits of each to begin narrowing down your decision. 3. See what your doors are going to cost. 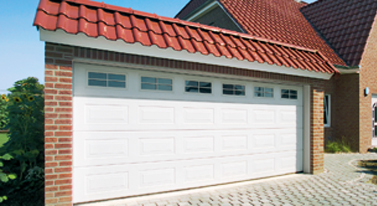 This guide provides a brief overview of garage door types and gives an approximate price. 4. Download specific PDFs. Find out everything you need to know about specific garage door models in our downloads section. 5. Get a full quotation. 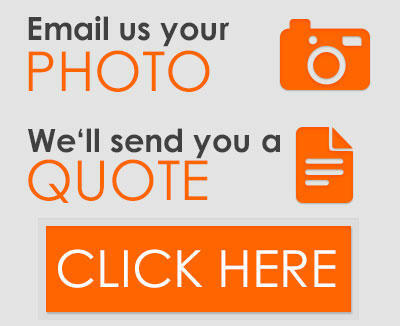 Now you’re ready to submit a request for a quotation. Let us know the designs you like and we will put together an estimate for you. You are welcome to come and visit our showroom to see our garage doors in person. A member of our team will be here to show you around and discuss your options in more detail. The showroom is open from 8.30am-5.30pm on weekdays, and 9am-4pm on Saturdays. We can deliver your garage door to any area of Nottinghamshire. Popular areas for delivery include Bingham, Newark-on-Trent, Mansfield, Worksop, Beeston and Nottingham city. We will discuss your delivery with you when you contact us to place your order. We also install garage doors. If you require this service in or around Nottinghamshire, we will provide you with a quote upfront and send out a skilled member of our team to complete the work for you. Call 0800 525 442 or contact us for a quote online. We are ready to start discussing your new garage doors in Nottinghamshire.